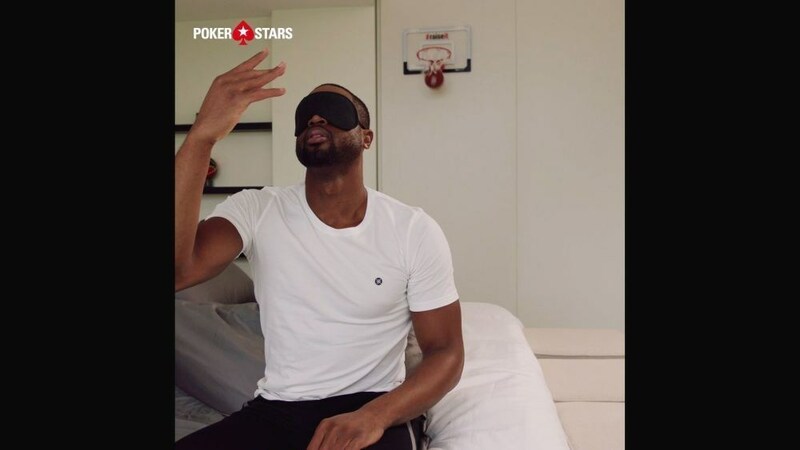 Following the worldwide success of the #raiseit social duelling video campaign PokerStars, an Amaya Inc. (Nasdaq: AYA; TSX: AYA) brand, has launched a new #raiseit campaign featuring Team PokerStars SportsStar Cristiano Ronaldo and famous basketball player Dwyane Wade. Ronaldo and Wade battle it out by responding to challenges set by the other in a series of playful yet competitive #raiseit videos. The sporting pair showcase impressive football and basketball skills and tricks as they take turns to #raiseit to the next level with inventive video challenges in a bid to out-do each other. The concept behind the #raiseit campaign is a fun take on the poker mentality of raising the pot or stakes in order to 'one-up' your opponent. It showcases the competitive nature of poker and sport, and the focus, tenacity and endurance needed to succeed in both activities. Ronaldo said, "Challenges often bring out the best in people and #raiseit is all about that so I'm really happy to be part of it. Creating these videos allowed Dwyane and I to showcase some crazy tricks, and take each other on outside of the pitch and court. I think I have set the bar high for Dwyane, so we'll see what kind of skills he brings to the table in the next few months." Dwyane said, "I really enjoyed coming up with unique #raiseit ideas to out-smart Ronaldo. The challenge not only pushes boundaries but gets your imagination going. It gets you thinking, 'What can I do to get that person fired up? And how can I think ahead and outsmart their response before they even act?' It's going to be a lot of fun to see how it plays out." Team PokerStars SportsStars Neymar Jr and football great Ronaldo Nazario featured in the inaugural #raiseit campaign, which launched in June this year. Simon Tilbury, Associate Director of Advertising for PokerStars, said, "The first instalment of #raiseit featured Neymar Jr and Brazilian Ronaldo, and delivered over 40 million video views and record engagement scores for us. Now with Cristiano Ronaldo and Dwyane Wade showing us their 'poker thinking' I'm confident they'll bring the PokerStars brand to an even wider audience." The series of 14 unique #raiseit videos launched Nov, 23 with Dwayne's video in the 'Superstar Wake Up' themed round. Ronaldo's retaliation will go live Nov. 24. The videos will be posted on Ronaldo and Wade's social media channels over a three-month period. PokerStars operates the world's most popular online poker sites, serving the global poker community. Since it launched in 2001, PokerStars has become the first choice of players all over the world, with more daily tournaments than anywhere else and with the best online security. More than 155 billion hands have been dealt on PokerStars, which is more than any other site. PokerStars.com and PokerStars.eu operate globally under licenses from the Isle of Man and Malta governments, respectively. PokerStars is licensed, approved to offer, or legally offers under third party licenses or approvals, its products and services in various jurisdictions throughout the world, including in Europe, both within and outside of the European Union, the Americas and elsewhere. PokerStars is the flagship brand of Rational Group, which operates gaming-related businesses and brands, including PokerStars, Full Tilt, StarsDraft, BetStars, PokerStars Casino and the PokerStars Championship and PokerStars Festival live poker tour brands (incorporating the European Poker Tour, PokerStars Caribbean Adventure, Latin American Poker Tour and the Asia Pacific Poker Tour). PokerStars is ultimately owned by Amaya Inc. (Nasdaq: AYA; TSX: AYA). PokerStars is the world's most licensed online gaming brand, holding licenses or related operating approvals in 16 jurisdictions.